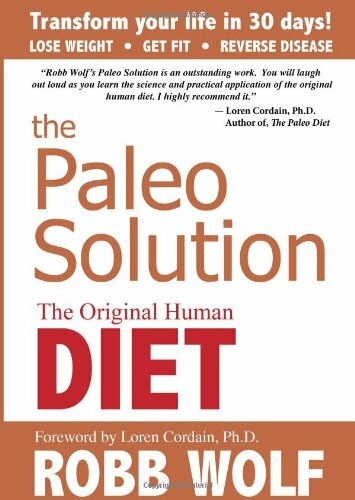 I love the incredulous look on people’s faces when you tell them that on the Paleo “Diet” you need to eat a lot of fat. How much fat, I don’t know, but it is somewhere between 30-65% of your calories eaten. I don’t worry too much about the percentages, I just eat a balanced diet with all non-inflammatory foods for me. For you, this means you must know what causes inflammation in your body. 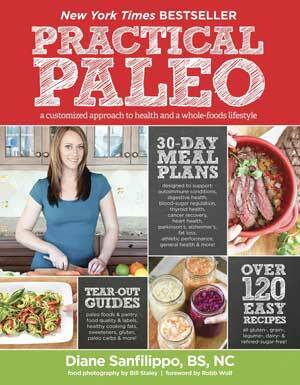 When I first started the Paleo Diet, I discovered grass-fed butter, ghee, coconut oil and of course olive oil. Then I tried walnut oil and lots of bacon fat. I am still looking for a good source of rendered lard in Sonoma County. 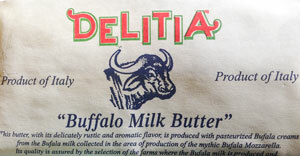 Recently, while perusing the cheese department at Andy’s I discovered Buffalo butter. is made by an Italian Company called Delita. It is actually made from the cream that is left over from making Buffalo Mozzarella Cheese. The milk does not come from American Buffaloes but from Asian Water Buffaloes. It has an amazing light, creamy, sweet taste. But its most amazing quality is its high smoke point of 250-300F. It doesn’t brown as quickly as cow butter and turns clear when heated. It is wonderful for frying! Make sure you pour the left over butter on your food! is made by Meyenberg Goat Milk Products in Turlock, California. It has a finer, lighter texture than cow’s butter and a lower melting point, making it easier to spread. Goat butter is white because goat cream does not contain any carotene. All the goats are only fed pastured grass. I love the taste and alternate using goat butter and grass-fed cow butter. If you go to their website be sure to read about the little boy who was allergic to milk and his family found goat’s milk to be a great alternative, who is now the proud owner of Meyenberg Goat Milk Products. is made by Pittman Family Farms in Sanger, California. Eaten from the spoon, it tastes similar to turkey fat that gives the wonderful flavor to turkey gravy. Duck fat also has a high smoke point and is wonderful for frying. The refined flavor of duck fat makes it perfect for making french fries. Thomas Keller’s restaurants always use duck fat for their french fries. It stores for up to six months in the refrigerator and indefinitely in the freezer. The Pittman Family do feed their poultry, including their ducks, a vegetarian diet of corn, wheat and soy. Although they use GMO corn and soy, watch carefully to see if this product causes inflammation responses in your body. In the wild, ducks will eat grains but also bugs, small shellfish, small fish and fish eggs, worms, snails, frogs, etc. If you have ever eaten a wild duck though, they have hardly any fat on their bodies! Another place to buy duck fat in Sonoma County is Willowside Meats. I will find out their source for duck fat and update this post later! is a product of the Dairy Farmers of America Cooperative. It is marketed as a “high-end” European Style butter. I was taken in by the marketing. Usually European Style Butter means grass-fed cows since so many cows are grass-fed in Europe. But beware this is only fancy American marketing on a regular old pound of American butter. Let me know what your favorite fats are and if you know of any places in Sonoma County to find some homemade rendered fats! We love our fats too!! Here are some rendered fats (and some you can render yourself at home) from local sources! Can’t wait to try that buffalo butter! Thank-you Tiffani and Mike for the great resource that Backyard CSA is for Real Food in Sonoma County and beyond!